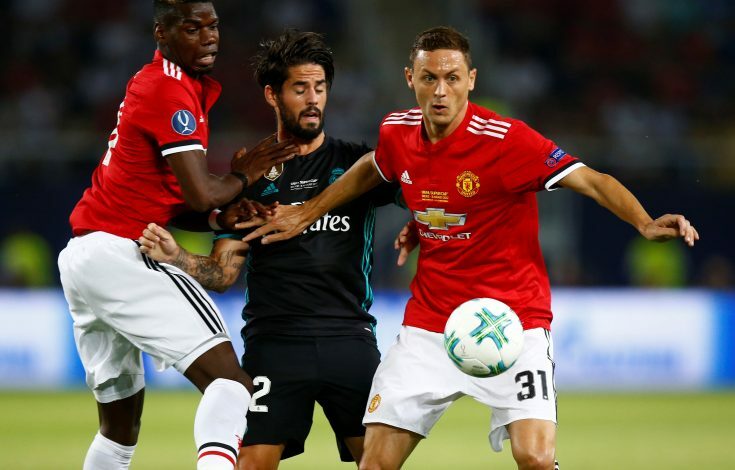 Manchester United’s new man Nemanja Matic has hit the ground running already at his new club, after having made the switch in the summer window. The Serbian is already proving to be a major contender for the title of the ‘signing of the season’ in the Premier League. The midfielder has played a crucial role in Manchester United’s fantastic start to the season, and Jose Mourinho must understandably be delighted to reunite with his former Chelsea player. Football pundits as well as the fans, who were more keen on seeing Monaco’s Fabinho at Old Trafford, were surprised when the Blues decided to sell Matic to a direct rival, and that too for a modest fee of £40.2 million. What the Chelsea supporters feared has now become a reality, as Matic has established himself as a key player for Mourinho’s Red Devils so soon. A stats compilation, showing Matic’s contribution at Old Trafford, reveals the big impact that the midfielder has made so far. The player ranks first in the entire United squad in most of the parameters, which include stats related to passing, tackles, and interceptions. With 9 of his 12 tackle attempts successful, the midfielder has the most number of tackles. The 29-year-old has intercepted the ball 10 times, which is, again, the highest for any player in the Red shirt. Matic also boasts of the most successful passes and most number of touches. Judging by the numbers, it will be no overstatement to say that the experienced central midfielder is doing it all in the centre of the park for Manchester United.